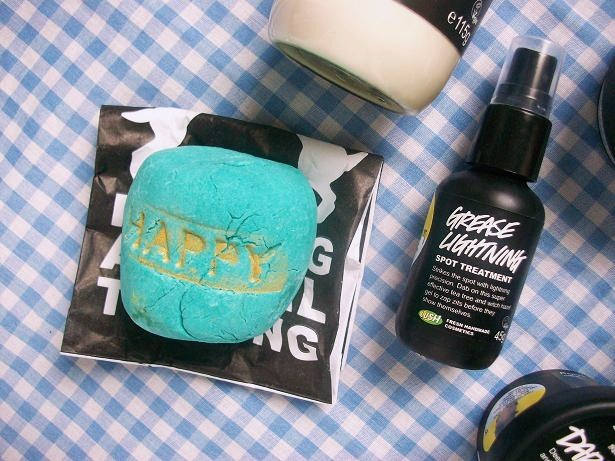 So today I have a pretty exciting haul to share with you guys, a LUSH haul! I use to take Lush for granted because there was a Lush in one of my local malls and I knew it was there but never bought anything from there (maybe one or twice) and now it's gone! So in order for me to get Lush products I have to either A. order online or B. Drive an hour away to the closest Lush (I have to do this if I want the fresh products anyways). However recently I did both! I ordered some Lush products online from the UK site (because it's cheaper) and then a few weeks ago I decided to visit the closest Lush to me and bought a few things. So some of these product from online and the store. I wanted to try out some of their face products because most of my face products are close to being finished with. But I also picked up some bath products so I can treat myself with a relaxing bath every week or so. 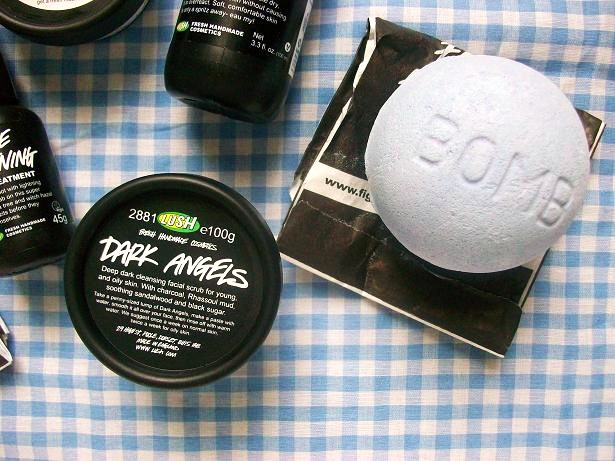 Anyways I'm pretty excited to share my Lush goodies with you guys so lets get started! 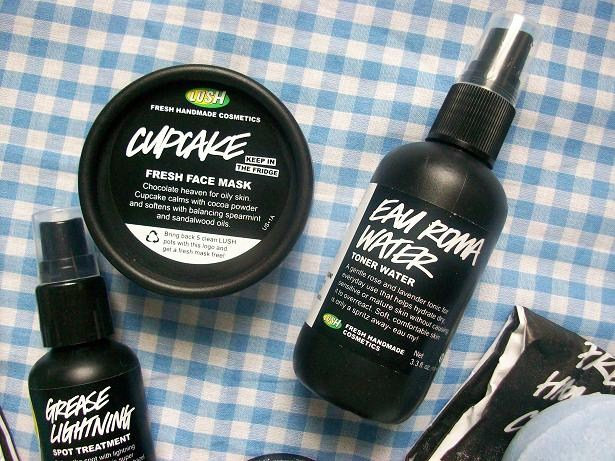 Cupcake Fresh Face Mask: I've heard so many things about this mask so I needed to get this on my trip to Lush. I've used twice so far and love it! It's my new favorite mask! Eau Roma Water Toner Water: I wanted to try out some face products so I asked girl at Lush what products she recommend and she said one of their water toners. I wanted the tree toner but they were all out of stock but she said that the Eau Rome toner works the same so I got this instead. 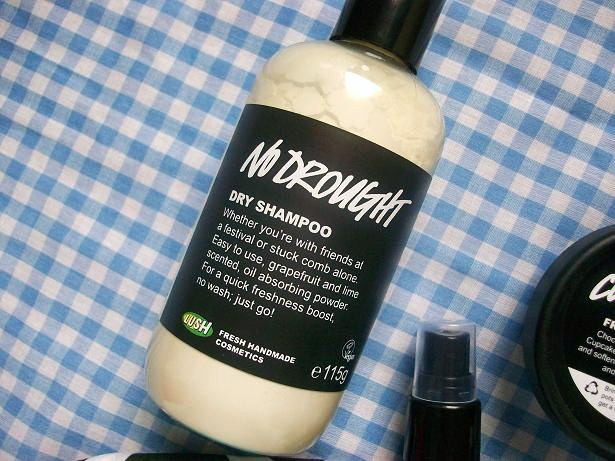 No Drought Dry Shampoo: I have curly hair so I only wash my hair 2-3 times a week (this is really healthy for your hair) but my hair sometimes looks really oily so I use dry shampoo to make it look "cleaner". But sometimes dry shampoo is expensive so I use baby powder but I'm not a fan of the smell so I decided to buy Lush's dry powder shampoo, No Drought. It has a very citrusy smell which I love and comes with a lot of product! I know I will probably be using this forever! Happy Bubble Bubble Bar: Apparently this is one of Lush's retro products but I just got it because I loved the color and wanted a bubble bar. I also love how it says happy on it! By the way you can only get this online. Grease Lightning Spot Treatment: This is another product that I really wanted to try out. Each time when I get a spot I usually just let it sit on my face until it wants to get off, which is horrible because it just sits and sits on my face for weeks! So I decided to get the Grease Lightening pimple cream because I heard so many great reviews on it. Dark Angels Cleanser: I really wanted a cleanser from Lush but didn't know which one to get so after hours of reading reviews online I decided to get Dark Angels because it looked like it would work the best for my skin. So far I'm really digging this cleanser but it's only been a few days since I started using it so we'll see. Blackberry Bath Bomb: I also wanted to try out a bath bomb (this would be my second bath bomb I ever used) because my first Lush bath bomb was not the best experience. I choose this one because it looked cute and cause I there is a surprise inside! 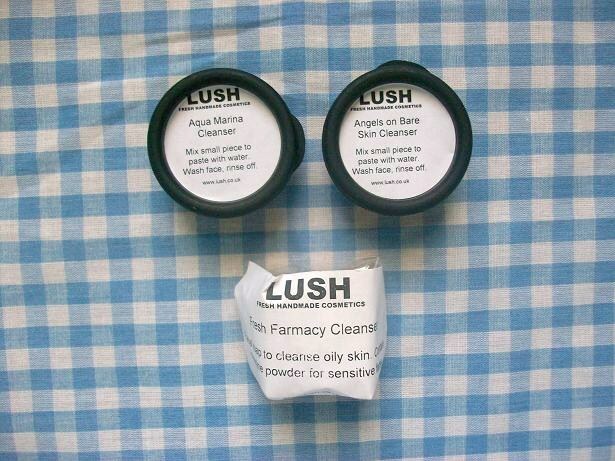 When I ordered online I asked to include samples of the Aqua Marina and Angels on Bare Skin cleanser just in case Dark Angels didn't work well on my skin. They included all the samples I asked for and added a sample size of the Fresh Farmacy cleanser too! So sweet! If you are wondering how long it took my Lush package to come it took almost 2 weeks for it to leave the UK and arrive to me (I will on the eastern side of the US). I would totally recommend you guys to buy from the UK Lush site too, it's cheaper and they'll give you the samples you want (if you ask).